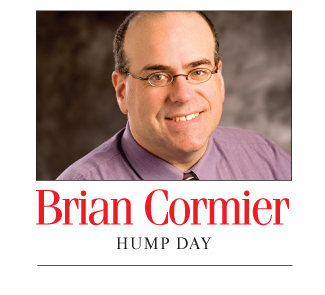 Well, this is the last column I’ll ever write before I turn the big 5-0 next Monday. I can’t believe it. It seems like just yesterday I was the big 4-0 and freaking out about that. And then before that, the big 3-0 and 2-0. Funny, I do remember turning 10 and thinking how monumental it was to have hit the double digits. Then I blinked and the next thing I know, I’m being told I can’t have a birthday cake unless it’s within 10 feet of a fire extinguisher because of all the candles. My first 50 years on the planet have been good ones. I can’t complain. At the half-century mark, I seem to have found my stride and own my own business. I have lots to do. I know a bunch of people. If I need something, I have a large network upon which to call for advice and help. That’s the good stuff that comes with age. At this time in my life and others in my age bracket, it’s also our prime income-earning years. The 1982 class of École Mathieu-Martin is mostly all turning 50 this year. We had our 30th anniversary in 2012 when we were 48. Many of us talked about turning 50 like it was a far off number in the distance. Well, I hate to break it to you, but it’s here, folks. Put your increasingly wrinkled hands on your face and scream! Funny, though, I don’t seem to mind as much as I thought I would. It seems like 50 was so old years ago. Today, some people are still starting families at 50. Heck, someone who’s a year older than me from university just had his first child. He’s just starting out on the adventure, while many others our age are seeing their kids off to university or even becoming grandparents. We’re in a weird hybrid of endings and beginnings. Many people I know are thinking ahead to retirement. Those of us who had an opportunity to work in a steady job with a pension certainly have some security down the road. If you were good at stashing money away, you’re good, too. I want to be one of those retirees who’s as sharp as a tack and the life of the party, cracking dirty jokes and getting extra medication from the staff at the nursing home because I’m one of their favourites. You can never have too much medication. Look at all the pretty colours! Time to stop when the dead relatives tell you to walk toward the light, though. Definitely a sign that you need to slack off when you see great-grandma. The one thing I’m finding as I age is that I’m caring less and less about what others think. As you get older, you gain confidence – or at least you should if all is going well. There was a time when I’d second guess everything. These days, I hope I’m aware enough to know when I’ve messed up, but I’ve also gained confidence and can speak with authority on a few things. Maybe not everything – but a few things. Now, I realize some of you reading this are way past 50 and wish you were “only” 50 again. And some others have a long way to go before 50 and can’t imagine ever getting here. Well, God willing, you will make it here. I really thought I’d be running down the street screaming “Nooooo!” at the thought of turning 50, but I’m not. I’ve said it many times: “The graveyards are filled with people who would have loved to turn 50.” I hope I go to heaven, but I’m in no rush just yet, thank you very much. I realize that changing decades – no matter which one – is a perfect opportunity to make some changes. Some people join the gym. Some people decide to find that special someone. Some people decide to leave a long-term relationship – or change careers. Hearing the ticking time bomb of mortality growing louder and louder can be nerve-wracking, but it’s more of a call to get your act together than it is to panic and run around with your arms flailing around your head. What’s the use of being worried about it? I’m OK with getting older. Sure, I feel the odd twinge of angst, but as long as I wake up in the morning, I’m satisfied with that. Yup, I’m fine with turning 50. 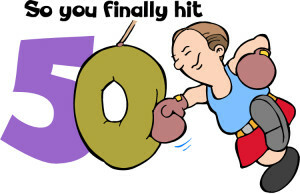 But 60. Man, that’s old. When I turn 60 I’ll really freak out. But that’s so far away. It seems like forever. Now, if I can just go through the next decade without blinking, I’ll be fine. Because every time I blink, I’m another 10 years older. That’s it. It’s time to outlaw blinking. I’ve found the cure for aging! 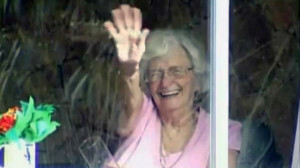 In 2007, Tinney Davidson and her husband started waving to children every morning as they walked by their home on the way to school. While some students thought it was a bit strange at first, they eventually started waving back. Tinney’s husband died a few years ago, but she kept up the ritual. Today, the kids look forward to the happy “Good morning!” wave from Tinney every day and look for her as they walk by. Knowing that her husband had passed away, the students decided to do something special for her this Valentine’s Day. This is a great story! The Greater Moncton Sewerage Commission (GMSC) announced today that its 2013 annual general meeting (AGM) will be held on Friday, March 21, beginning at 11 a.m. in the Riverview Town Hall council chambers, 30 Honour House Court. After a very active 2013, Commission members and GMSC staff are looking forward to updating the community on what was achieved over the course of the year and what is on the horizon, including a major multimillion-dollar upgrade to the GMSC’s wastewater treatment plant in order to meet new federal regulations. The upgrade will be one of the largest municipal infrastructure projects in Greater Moncton’s history. The AGM will feature presentations by Commission members and committees with opportunity for questions from the public and media. Financial results for 2013 will also be released at that time. 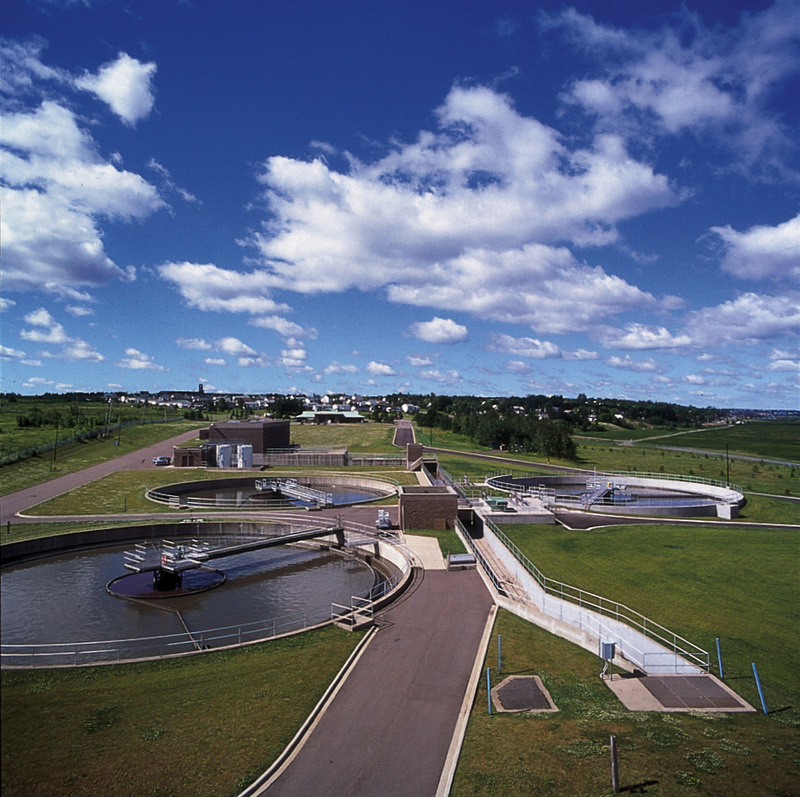 The Greater Moncton Sewerage Commission was established in 1983 to support the wastewater collection and treatment needs of the Dieppe, Moncton and Riverview tri-community. Since then, it has developed a 30-kilometre collection network and a treatment facility to best deliver on this mandate. It has also become a leader in the reuse of biosolids through the generation of type “AA” compost (the highest grade currently achieved in Canada) as opposed to disposal in a landfill site. The organization is now positioning itself to further upgrade its facilities to provide an enhanced secondary treatment approach that will allow it to meet recently introduced mandatory federal regulations prior to the 2020 deadline. 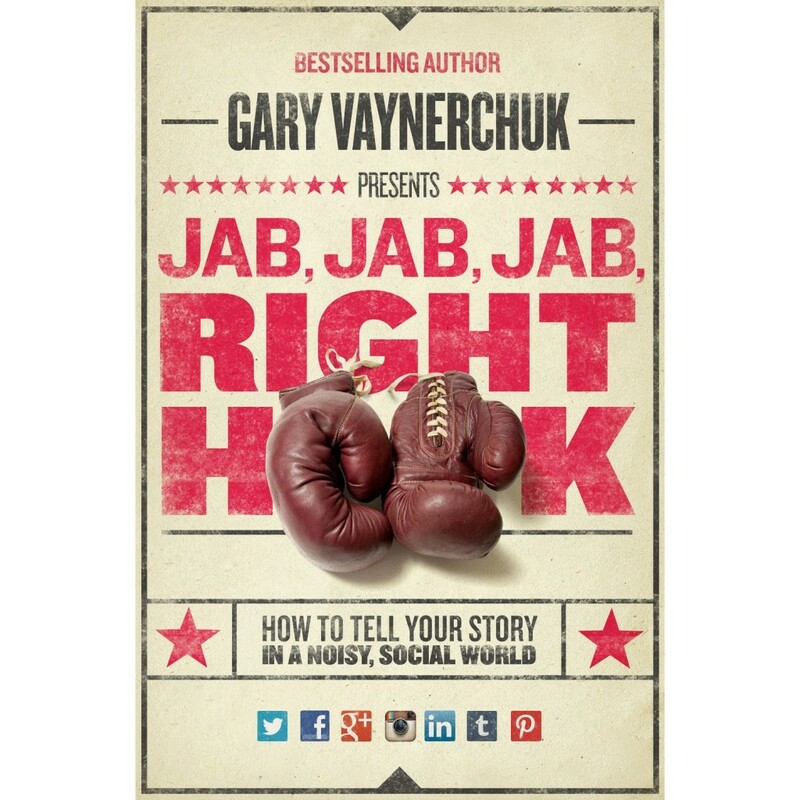 This week’s giveaway is a copy of Gary Vaynerchuk’s new book Jab, Jab, Jab, Right Hook: How to Tell Your Story in a Noisy Social World. Description on Amazon: “New York Times bestselling author and social media expert Gary Vaynerchuk shares hard-won advice on how to connect with customers and beat the competition. A mash-up of the best elements of Crush It! and The Thank You Economy with a fresh spin, Jab, Jab, Jab, Right Hook is a blueprint to social media marketing strategies that really works.” I just started reading this book and am looking forward to learning more from one of the best! Details on how to enter the contest are in my newsletter. If you’re not already a subscriber, fill out the form on my website. (See column on right.) Deadline for entries is Sunday, March 2, at 6 p.m. The winner is determined by random draw. UPDATE – March 3, 2014: Congratulations to this week’s winner — Philippe Robichaud! This is the time of year when we all become a bit stir crazy. While some of us are wishing the winter away, some are holding on to the season for dear life. I keep hearing people say, “Oh we only have a storm or two left.” People! It’s February in Canada! It’s going to be snowing until April! Get a grip, give your head a shake and send hate mail to whichever groundhog saw or didn’t see his shadow. Old Man Winter still has a few tricks up his sleeve! Then the crazy stare begins. That’s when you know you have a choice. “Either today’s the day I die, or I’m going on vacation for a week. I guess I should pack my bags.” As if there were any real choice in the matter, eh? After all, when a normally winter-hardy Canadian snaps and declares they need a break from the snow, it’s best to listen and not argue. It’s like Satan running around in hell yelling at people to turn on the air conditioning. When you snap, you snap! Why do we put ourselves through this every year? Just because the days are getting longer doesn’t mean winter’s over, at least just yet. Sure, this winter has hit middle age. There’s no doubt about that. But it still has lots and lots of kick to it. While some are at their wits’ end at this time of the year, others are having a hard time letting go. Neighbours down the street from me still have their Christmas tree up in the window. Up until a week or so ago, it was still fully decorated and lit. I drove by during the day a couple of days ago and couldn’t tell if it was still decorated, but it was definitely there in their window. Now, I think it’s fair to say I’m a bit of a freak when it comes to Christmas. The Christmas music starts getting played in the background on my computer in July or August. Just low. Barely audible. More for relaxation than anything else — but it’s still Christmas music. By the time Christmas comes, however, I’m so sick of Silent Night and Jingle Bells that it’s all I can do not to walk up to the nearest mosque or synagogue and ask when the next orientation sessions start. But I mean, really. If you still have your Christmas tree up in the latter part of February, there’s a bulb that’s burned out in your chandelier. The queen bee’s missing from your hive. Your elevator doesn’t go to the top floor. Your DNA has a typo in it. I feel like driving by that house with one of my friends who’s snapped and booked a trip down south no matter how much it costs. “Hey, Mary! Want an outlet for all that pent-up winter frustration? Take a look at that house! It’s after Valentine’s Day and they still have their Christmas tree up. 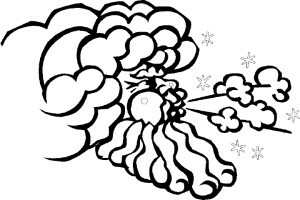 Here’s a hammer.” Then I’d let her out of the car and speed away as a tornado reminiscent of the Tasmanian Devil from the Bugs Bunny cartoons spins around that house at an ungodly speed, with siding, glass and Christmas ornaments flying everywhere. Let’s just say the tree won’t be up much longer. I don’t hate winter by any means, but even I’m looking forward to warmer weather — not only for lower power bills, but for the sake of my poor dog’s paws. If you own a small dog, I’m sure you can sympathize. Little Fifi or Rover goes out to do their business and has to sniff every snowflake in the yard. Then they spin around 500 or 600 times before deciding where to deposit their environmentally friendly gift. Then, because they took so long, their paws get cold and one paw goes up in the air, then two. Then they look at you with those big dark eyes pleading to go back inside. And they still haven’t done anything yet! Listen, dog, did you really have to spin around like a top and sniff for 15 hours before deciding where to go to the bathroom? You go at the same spot every day within a three-foot radius anyway! Is one foot this way over the other way going to make a big difference? Old Man Winter is sticking around for a bit, but he’s definitely starting to get on our nerves. Let’s try to stay on his good side, though. He may be getting long in the tooth, but he’s still got a wicked kick left in him yet!